A Hillsboro man pled guilty to first-degree misdemeanor falsification in the Hillsboro Municipal Court on Monday and was sentenced to 30 days in jail. An affidavit filed with the court states that a deputy with the Highland County Sheriff’s Office conducted a traffic stop Monday morning. At that time, he allegedly recognized the involved vehicle’s passenger, later identified as Troy D. Burns II, 35. The deputy then determined that Burns had an active warrant for attempting to purchase an illegal amount of pseudoephedrine, a second-degree misdemeanor. On Monday, Burns appeared on both that and the falsification charge. All but 30 days of a 90-day jail sentence were suspended on the falsification case, according to records. A $1,000 fine was also suspended. Burns was placed on reporting probation. Records add that Burns can be furloughed from jail next Wednesday. He is scheduled to return to court in October. An additional 90 days in jail were suspended on Burns’ pseudoephedrine case. Records show that he pled no contest and was found guilty of that charge. A $750 fine was suspended. Burns must stay away from Kroger and obtain an assessment and any recommended counseling at FRS. In other cases, jail time was imposed on two defendants appearing on bench warrants. 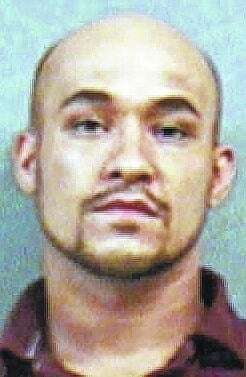 Christopher W. Smalley, 27, Peebles, was found guilty of a probation violation. Records show that he pled guilty to first-degree misdemeanor receiving stolen property in 2010. A 90-day jail sentence was suspended, and Smalley was fined $300. Records add that Smalley can be furloughed from his imposed sentence “if fines (and) costs (are) paid.” He is scheduled to return to court in September. Finally, a jail sentence was also imposed for Denzel L. Williams, 50, Greenfield. According to records, he was convicted of first-degree misdemeanor assault in November. At that time, a 30-day jail sentence was suspended, and Williams was fined $100. Records add that a warrant was issued for his arrest after he failed to appear for a review hearing in March. On Monday, Williams was found guilty of a probation violation. His 30-day jail sentence began when he was arrested last Thursday. Records show that he can be furloughed with a negative drug screen. He must return to court in September. In addition, Williams’ probation was extended for another year.